Our lodge at Fox Lake, built around 1932 by two Frenchmen, Peter and Frank Gaboury, is a testament to the craftsmanship of the time. Completed with logs from trees indigenous to the area, mostly cedar with spruce, norway pine and balsam interspersed, this hand-hewn structure was completed at a time when there was no electric power to the resort and no power tools available. Logs were draw-knifed and corners were constructed in the saddle notch style with chinking between the logs sealed by triangular cedar slats; a system that worked well against the cold winter winds of northern Minnesota. Heat came from a barrel stove in the living area and a wood cook stove in the kitchen provided both heat and a means for cooking for owners and guests. The original buildings included the lodge, three cabins, including one on the island, a laundry room and an icehouse. Until electric power was brought to the resort, ice was cut from the lake and kept in the icehouse for use during the summer months. 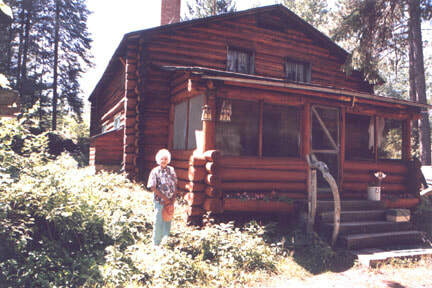 Cabins were added by successive owners, but most of the remodeling and modernization occurred after Albert and Hazel Olson purchased the resort in 1945. When they purchased the property it was called Camp Grace, which they changed to Fox Lake Resort, which remains its name today. For over 85 years now guests have enjoyed hunting and fishing at the resort while staying in a rustic, private setting located on a lake that is still unspoiled by development. 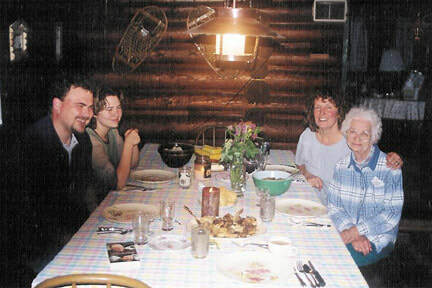 Fox lake Resort and Lodge is now owned by Sheryl and Edwin Olson. With the help of their son and daughter, Michael and Sandra, they continue the dedication of high quality service and manage all renovation projects so that the quiet, rustic ambience is maintained.